ION hosts monthly web workshops each year on a variety of topics related to out-of-school time. Check back frequently to learn more about the web workshops we have planned for this school year. 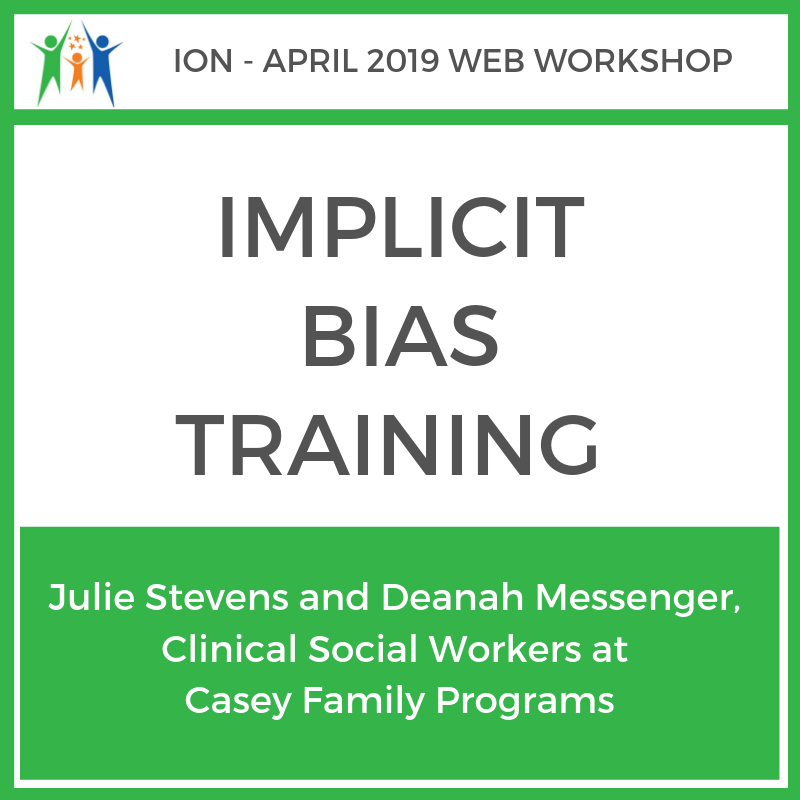 Both Julie and Deanah are certified trainers for the Knowing Who You Are curriculum required of all Idaho child welfare workers and are both part of a design team developing a Diversity and Inclusion training for Casey Family employees. Julie and Deanah are also part of the Anti-racists in Idaho group. Learn how the staff of the Meridian Library District used the model of community-led libraries to create programs and spaces that tweens themselves have ownership over and are invested in. Learn about the importance of using movement in out-of-school programs as well as strategies to get kids moving using GoNoodle's free resources! Rebekka Lee ScD, Research Scientist at Prevention Research Center, Harvard T.H. Chan School of Public Health shares and overview of their OSNAP program and Food & fun Afterschool Curriculum. Get an overview of the Zero Robotics Summer Middle School Program and information about the application process and requirements for programs. Learn about the resources provided online by Idaho's State Department of Parks and Recreation as well as ways to get EVERY kid in a park this summer! This webinar shares 40+ simple behavior management strategies that front line staff in out-of-school programs can use today! Tired of planning tween programs that fall flat? Ever wonder what on earth tweens are interested in, and what programs they will show up for? Look no further than the tweens themselves. Learn how the staff of the Meridian Library District used the model of community-led libraries to create programs and spaces that the tweens themselves have ownership over and are invested in. This webinar will focus specifically on the Tween Advisory Council - a group of tweens that functions as our catalyst, brainstorming center, and sounding board for tween programs and services. Participants will learn how to form such a council themselves, how to structure a year of activities for the council, and be equipped with practical hands-on tools like Tween Advisory Council application questions, advertising strategies, and more. Skye Corey is passionate about giving all children a voice, and especially loves developing structures, programs, collections, and services that empower local youth to make a positive difference with and for their community. She completed her BA in English Literature at Calvin College in Grand Rapids Michigan in 2008, her Master of Arts from Regent College at the University of British Columbia in 2012, and her Master of Library and Information Science from the University of Western Ontario in 2014. She served on the Association for Library Service to Children's (ALSC) Notable Children's Book Committee from 2016-2018, and is currently co-chairing the ALSC Public Awareness Committee. She is extremely grateful to have been given the opportunity to get the Treasure Valley Youth Services Network up and running (a network of Youth Services Library Staff who meet quarterly to strengthen library services for youth), and is always refreshed to hear about the exciting and innovative ways libraries are working with their communities to create strong, healthy futures for children. In her free time, you can find her playing outside with her energetic Border Collie, or lost in an exciting Middle Grade fiction novel. Kari Wardle shares a plethora of free resources available to informal and formal educators through IPTV. Chad Mann from Marathon Kids shares ways to incorporate out-of-school run clubs that can make the difference in the health and fitness of your youth. Kirstin Mann from Serve Idaho shares how to apply for AmeriCorps funding through Serve Idaho.